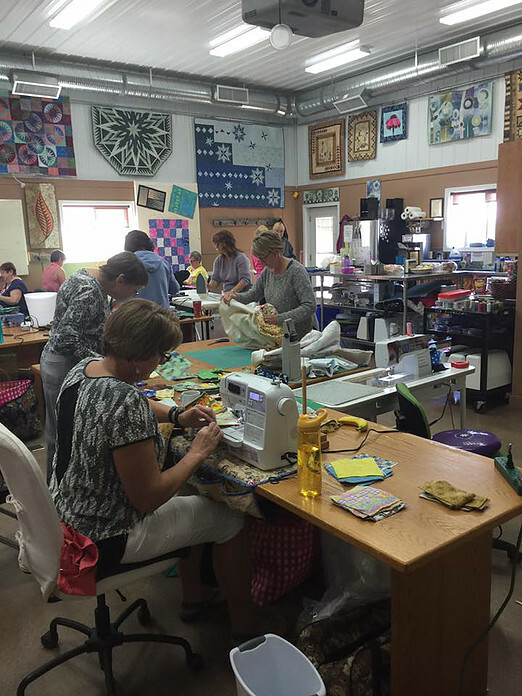 Bow Bench Retreat is a place for sewists, quilters and crafters to gather, learn, create and share. No matter if you’re new to the sewing machine or have been sewing for many years, Bow Bench Retreat is a welcoming community to grow your skills, confidence and creativity. 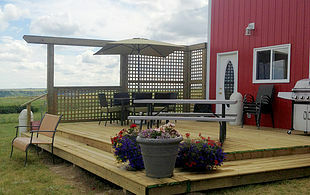 Join us at Bow Bench Retreat, located just south of Carseland, Alberta. Nancy Strath started Bow Bench Retreat to provide a spot for quilters to connect. Not long after she started quilting, Nancy saw a need for a space where quilters can gather, spread out and create. Nancy teaches sewing classes at Bow Bench Retreat and beyond. 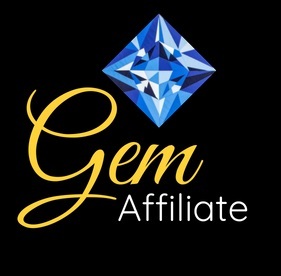 Learn more about booking Nancy for your guild, sewing shop, retreat or more. Bow Bench Retreat is truly a retreat. Overlooking the Bow River, the sewing studio has a breathtaking view will be an inspiration for new projects. Inside, Bow Bench Retreat has bright lighting, large windows and space for crafters to spread out. Bring your quilting, sewing, scrapbooking and yarn projects to Bow Bench to create among a community of crafters. All the small details are taken care of – we have electrical outlets designed for multiple sewing machines and all the tools you require (just in case you forget your scissors). Bow Bench Retreat hosts classes, retreats and events throughout the year. Have a look at our events calendar for the upcoming events. 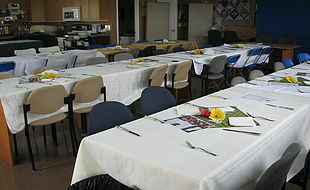 You can rent out the studio for your own events or retreats. 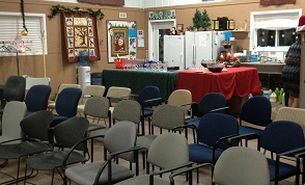 Prepare your food in our on-site kitchen and display your presentations on our interactive whiteboard. Learn more about our facility rentals. 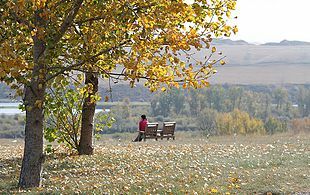 Every season is beautiful at Bow Bench Retreat. Have a look at our events calendar or sign up for our newsletter to hear about the next classes and retreats. Join us at Bow Bench Retreat to relax and create. If you are new to sewing, there is no better place to learn than among a community of friendly and welcoming sewists. If you have been sewing for years, come learn some new techniques and get inspired. 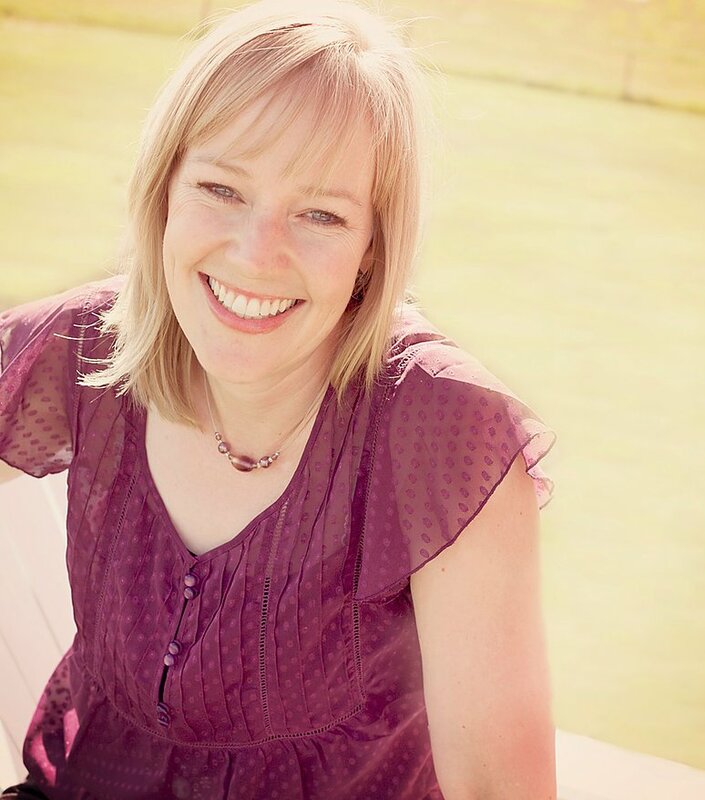 I was a brand-new sewer when I started coming to Bow Bench Retreat five years ago. The support and encouragement I have received from Nancy has been immeasurable. 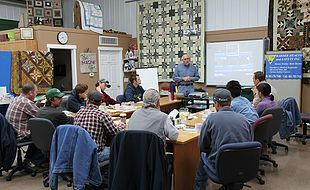 The classes I have taken have been fun, informative and very enjoyable. I truly love my time there! Nancy keeps up to date on this ever-evolving industry and looks forward to sharing new ideas and methods with all those who visit the beautiful facility. Nancy’s excitement is contagious, and you look forward to returning again and again. 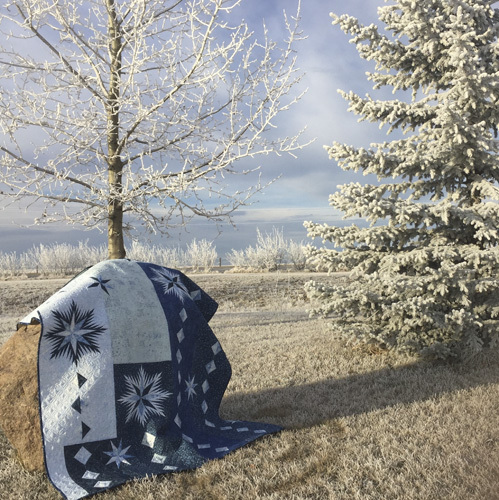 Sign up for our periodical emails with the latest news, events, retreats and workshops for sewists and quilters throughout Southern Alberta and beyond. Thanks and welcome to the Bow Bench community!